We are a renowned garage service company able to assist customers with garage door opener, screws, and repairs as well. We welcome consumers who want to try our vast array of garage door repair services in California. Our experience in this industry means that we are very confident about our ability to deliver at all times in any given situation. This is a contractor that makes a difference. Well-trained garage door technicians to help you with installation, maintenance and repairs. You can count on our professionals at Garage Door Repair Lafayette to eliminate any problem with your door’s hardware, panels and electronic components. Our company works with all door and opener brands without exception equipped with top-quality spare parts to handle all kinds of issues from snapped cable to lost remote control on the very spot. Rely on us for fast emergency assistance when your automatic door is hard or impossible to open or to close! Our solutions include automatic garage door installation, maintenance and replacement. We are always available to install a new door and opener for you, and to offer practical shopping advice as part of our service. You can rely on us to take perfect care of any possible part in the system, no matter how big or small. Along with cleaning and lubrication, we run inspection and testing to eliminate issues by fixing damaged and malfunctioning parts and replacing worn ones. When the extension or torsion springs don’t work well, the entire system malfunctions. When there is too much or too little tension to balance and lift and lower the door properly, we’ll adjust the spring accurately to get things back to normal. If you end up with a broken spring, don’t try to do anything until we replace it with a new one of the same size, as it can be highly dangerous. All of our replacement springs are strong, durable, and have a long cycle life. The opener system has a set of hardware and electronic components, but thanks to our experience, we can identify which one is causing trouble in no time and eliminate the problem right there and then. Whether you have a chain, belt or screw drive opener, you can expect an excellent solution. The brand is completely irrelevant too. If there is a need for replacing a broken trolley or the motor, we’ll install the best new component with precision. Rely on us to replace a missing clicker or a pair of faulty safety sensors swiftly as well. Our work is always concluded with testing to make sure that the door operator works flawlessly. We know the local area and the needs of our customers extremely well. That is why our team never wastes time when it comes to helping someone in great trouble. Even if your door has suffered severe damage due to an accident or bad weather, you can expect us to restore it fully in the shortest time. We are experts in opener, hardware and panel repair and replacement and are fully equipped to do even the most challenging job on the spot. 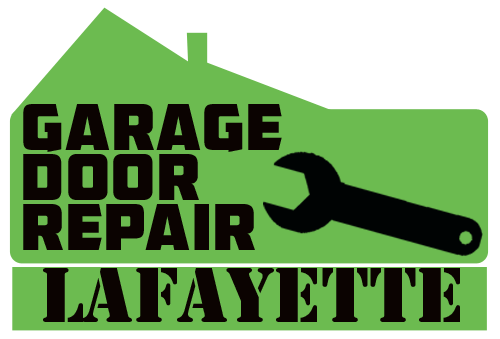 With us at “Garage Door Repair Lafayette” you will always get quick response and professional repair, replacement, installation and maintenance. Give us a call or send a message to get the best service in California! Browse our website to get more information. We fix electric garage door opener problems in zip code 94549 quickly and have the most devoted specialists for all garage door repair services in California. We are committed, well-equipped and know how to install and maintain automatic garage doors perfectly.